This book is the first volume of a series entitled Unveiling the Esoteric in Buddhism that aims o reform many aspects of Buddhist heuristics and gnoseology. 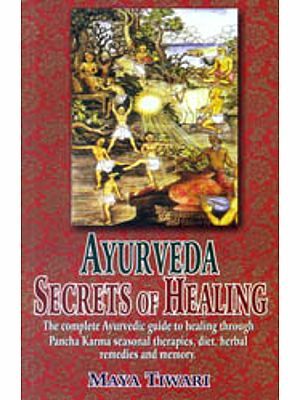 In this volume the nature of the karma that governs all phenomenal appearances in the three worlds of the samsara is examined. From the basic premises the thesis proceeds logically to expound the intricacies of the mode of manifestation of all aspects of this basic law. Many traditional beliefs are simplified "truths" that had their genesis in the infancy of humanity's ability to logically enquire. The Buddha utilized a similar primitive belief system concerning karma without any alternation. The simplified elementary beliefs are all that have been perpetuated, and Buddhists have never really queried inherently flawed logic. Such as the belief of transmigration of human consciousness into the animal Kingdom after death. They have asserted a near adamantine faith in the writings of those that have simply reiterated the exoteric teachings. The text presents a series of syllogisms rectifying the flaws, bringing to light part of the Buddha's own agenda for the education of humanity. An Australian citizen. Bodo Balsys was born in Germany 1949. he was first awakened to the dharma by the appearance of an enlightened teacher to his third eye when he was eighteen. This was the consequence of an aeonic long friendship upon the path of enlightenment, each life being sequenced as part of a progressive educational outpouring for the liberation of the all. Since the early 1970s Bodo has researched, written upon, and taught in most field of the dharma, specifically in the way it unfolds through the clear light of meditative perspicuity. His early writings were concerned with explaining various esoteric subjects, such as he nature of the path to liberation by following the curricula of the council of Bodhisattvas. In 1996 he gained a degree in science from the University of Western Sydney. Certain fallacies appearing in some modern presentations of the dharma, specifically on karma, have led many Westerners to query whether the Buddha dharma is really as wise as it purports to be. Faith alone in the fact that there once were, or maybe are, enlightened beings giving out teachings and commentaries on the sutras and sastras, should not be the main criteria for the student trying to ascertain the nature of the truth of the good law. The teachings must manifest pristine logic, not leaving gaps on credibility forcing the student to shelve his questioning, with his enquiring mind relegated to the background, as he endeavours to memorise mere belief structures. I plan a series of seven volumes entitled Unveiling the Esoteric in Buddhism, which will lead the reader progressively through the main corpus of Buddhist philosophy concerning the nature of consciousness and the means to its transcendence. Therein I will elucidate certain sections of that philosophy, and thereby hopefully, given more lucid explanations of the way the various aspects and attributes of consciousness manifest. II. The I Concept, which will delve into detailed considerations of the nature of an "I", the concept of individuation, and how this relates to sunyata. III. Cellular Consciousness will extend the teachings in The I Concept, and detail the personification of mandalas. IV. Causation will explain the nature of how things arise from bijas (seed points). 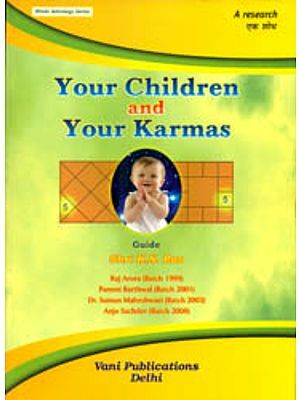 V. Devas, Dakinis and the Six Realms continues teachings of karma, of how it relates to the subjective realms of experience, and explains the nature of agents of karma. VI. The Bodhisattva clarifies teachings on the mode of activity of Bodhisattvas, presenting an updates critique of currently available commentaries and information, giving much detail never before considered. VII. Cosmological Considerations will analyse Buddhist ideas on cosmology, of the way the universe is structured, and extend the teachings by presenting much detail related to the dharmakaya way of visioning. In writing the series I am aiming to bring Buddhist thinking forward into the modern era by endeavouring to rectify some aspects of the philosophy that have not been clearly thought out to conclusion. In presenting new light to the manner of Buddhist thought, I hope that Buddhists will be better equipped to answer their critics, and consequently make their logic more scientific. This will enable them to truly reflect the wisdom of the grand logician that the Buddha was in all fields of reason and investigation as to the nature of phenomena and its mechanism of expression. 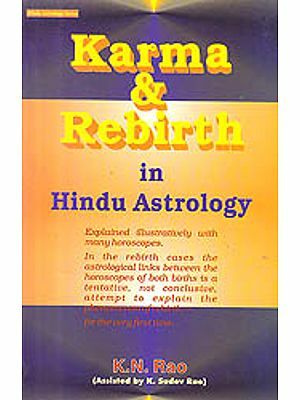 This first volume focuses upon the doctrine of karma, because it is fundamental to the understanding of most things pertaining to manifest space and of the way of liberation from it. I will endeavour to explain that the nature of karma has not been properly understood by the many. If I can convince Buddhists to analyse their hermeneutics with greater esoteric perceptiveness so as to weed out many areas of deductive thought wherein muddied rhetoric and conceptualizations exist, errors that have long been taken for granted as truth, or to fill in gaps in logic, then my labour of love will have been justified. If one can find error in the presented information, then I will humbly acquiesce to sounder thinking than mine. Certainly the reader should try to improve on what has been presented. There is much more yet to be written about the ramifications of the logic given, and the aim is to succinctly present far more of the nature of the enlightenment tree for the modern reader than what has been hitherto revealed. The nature of the enlightened mind is to have "moved beyond", i.e., by having questioned along all possible lines of revelatory experience in realms of meaning, wisdom, stemming from beyond samsaric considerations, is wrought. The nature of the universe will then have been found to have moved into unaccountable arenas of revelation. Both maya (illusion) and sunyata (the real or Void) are included in the banquet of revelation. (By "banquet" I refer to the undetermined forces of the universe proffering the substance of further enlightenment in response to any query, no matter what the level of attainment of the seeker.) By all means let us question everything, be it the nature of a human cons-ciousness, of a soul (or the cognitive-recognisant aspect of the rebirthing process) a god, or the gods, karma, the nature of en-lightenment, and sunyata, if these things are not yet properly comprehended; for the books containing the last words on these subjects have not yet been written by the philosopher saints of Buddhism. Too much in religion has degenerated into belief systems rather than being derived from first hand knowledge. It makes one wonder whether such a thing as an enlightened being exists in the world. Tibetan Buddhist specifically need to quickly recognize, and correct flaws in their presentations of logic, because it is their branch of Buddhism that has made the greatest for erroneous propagation of teachings. Let infer here, that to truly be Buddhist one must understand the current flaws in human thinking of the time. This means that Buddhism must redefine itself for this modern epoch. Revelatory impetus promulgated in the past millennia must continue to the now. A necessary flow of revelation from the old to the new must continuously be manifested by the great reformers of any age, as were Nagarjuna, Asanga and Tsong-kha-pa.
Buddhism is expected to be the most learned of religions, therefore there is a need to expand on its present system, and come up with credible solutions to age old mentalistic quagmires, eclectic tongue twisters, and small loopholes in logic that presently exist. In this process the Council of Bodhisattvas welcome enlightened response, and so be it. The Buddha knew all the differences of karma between the various races and opinions of men, and like Sakyamuni Buddha we should endeavour to divulge the secrets of a wisdom religion to enrich to knowledge of what enlightenment is, to hopefully prepare all for the coming of the new Buddha, Maitreya. If it is all possible to do this, then it shall be done, or this present work, and information, shall fall flat on its face, and one shall have to write some more. For the dictation of higher word of revelation to the various types of mind is needed, and such is the relationship of the Buddha dharma to the newly emerging religious form. Why are so many still bound by the illusion of form? What has been done to understand this illusion in our modern societies, to observe and manifest a desire for liberation from it? Surely Buddhists must be more observant than most, to truly light the way, and thus to properly understand the nature of the evolution of religions? If life expectancies, as a method to a means, is to produce perfect enlightenment, then where would Buddhists presently be regarding human investigation processes, i.e., to what level the darkness? Surely in this modern era they have philosophically retrogressed to no more than two-third of their former illumined populous. In the past there were always those that were undisputedly enlightened amongst their ranks, but where are such beings today? Is this apparent lack because Buddhists have remained unaware of the pictorial diagrams of certain processes unique to the West, in progresses of the consciousness-field of humanity, whether in science, comparative religion, the arts, and related studies? The synopsis goes as follows: the lack scientific parameters, of current Western mathematical and technological modes of thinking, and consequent syncretism of beliefs, studies in metaphysical thought, and esoteric disciplines, leave a lot to be desired in Buddhism. Furthermore, as a current of modern scientific thought, the faculty of religion is left virtually alone. The scientific elite should undertake or try to adopt an understanding of the processes and awakening of religion in the inner life and function of all being. As far as it goes, the Western mind has little patience for many unique processes of religious thought and a properly structured religious discipline, as Buddhism could be. If it did reform then it has much to teach the Western mind. The fusion of the difference between religion and science is sure to go beyond the boundaries of present human thought in its scope and vision. Surely this concerns much of the work of future Bodhisattvas to accomplish. They will strive to properly codify what goes beyond the boundaries of the Human unit and its interpretation of things, in an organized form of a socio-learning structure that includes the universe and universal Revelation beyond thought. The nature of the descent of new revelatory information often goes as presented below. A Bodhisattva can be viewed as a conquering pure lion of revelation. He has far surpassed the qualities of he pride of the lesser lions basking in the glories of their own achievements. This pre lion challenges the balance of opinions in the student's mind (the lesser lion, and its concepts of "I", "me"). Relatively few have the karma to meet an enlightened teacher and if they do they rarely take the chances offered to better their consciousness-lives, and the chances of gaining enlightenment is slim indeed, but greatly enhanced for these fortunate few. Therefore when a teacher comes into view, be warned, no resistance to what he offers will probably work. Be on best behaviour and control all emotions and methods of mental activity. Emit love and then he will have taught you something. As the student's heart aligns to the teacher's, the words the teacher has spoken will either be rejected, or in abject humility the little lion will be destroyed. It takes time to test a teacher, as well as a student. The teacher will follow the ritual of the enlightenment-process in his mind and see the quality of light in the process of revelation in the student. Light eradicates all lower states of incompatibility with the teacher, and so the student must be tested, if he is not worthy then he will roar and be consumed with the energy that he has gained from the teacher's attention. The light in his aura turning into darkness. The propulsion away from the teacher's understanding creates room for darkness. The student's understanding is much more unawakened that the teachers, leaving room for a luxury of ignorant behaviour. The teacher's understanding is much more unconventional, coming not from the formal, like the student's mind, but from the Bodhisattva mind; mutable, vast, and immeasurably free flowing. This alien process, if it can be called such a name, is free of the many tornadoes of the past that the student often keeps insides. The teacher has freed his mind from such karma, so when information from his consciousness hits the formed structure of the student's mind, then two positive effects can take place. The first is a breaking down of the mind structure to incorporate them, producing a more regulated pattern, thus awakening the student into spiritual insight. The second effect happens as a direct consequence of the energy current of the Bodhisattva's mind as it emits the sound of truth in leadership, the student becomes more highly energized and motivate. I have nor read that yet.